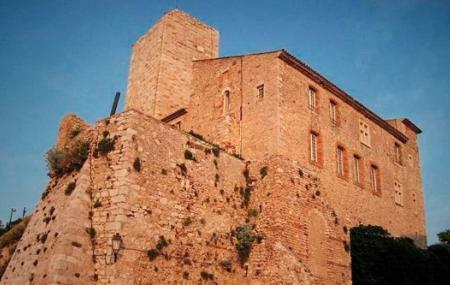 Musee Napoleonien is a famous museum in the heart of Antibes. The museum houses paintings, sculptures, prints and various other art works. It also offers a panoramic view of the Cap d'Antibes from its spacious terrace. Be it for the museum of the breathtaking view, the Musee Napoleonien is a much recommended visit in Antibes. Languages spoken at the museum are English and French. Do not miss the magnificent view from the terrace of the museum. It looks like it could have been cool but closed until June 15th 2017! I walked 50 minutes they should update hours on Google! Well, I've asked Google for a change now, I don't know when they'll do it, but this is what I wrote in August 2012: No, no, no, it's not here in the city center of Antibes, at least not in 2012! It's 4-5 km away at the Cap d'Antibes (Bd John F Kennedy/Rampe du Graillon, just at the number 2 end buss station Eden Roc). And they have completely dropped the Napoleon part of the museum collection content. It's now called "L'Espace du Littoral & du Milieu Marin" (and sometimes "Musee Naval").